Marian B. Theeb, 85 passed away peacefully with her loving family by her side on Easter Sunday, April 1, 2018. She is now reunited with her loving husband Philip J. Theeb Sr., for which she was married, 55 years, until his passing. Marian was born in Winsted, CT. She was the daughter of the late Salvatore and Maria (Amico) Bartolotta. She was a graduate of Gilbert School in Winsted CT. As the wife of a career Air Force service member she traveled the world, including living in England, Florida, and returning to Torrington. Her family was the joy of her life and she valued her time with them. 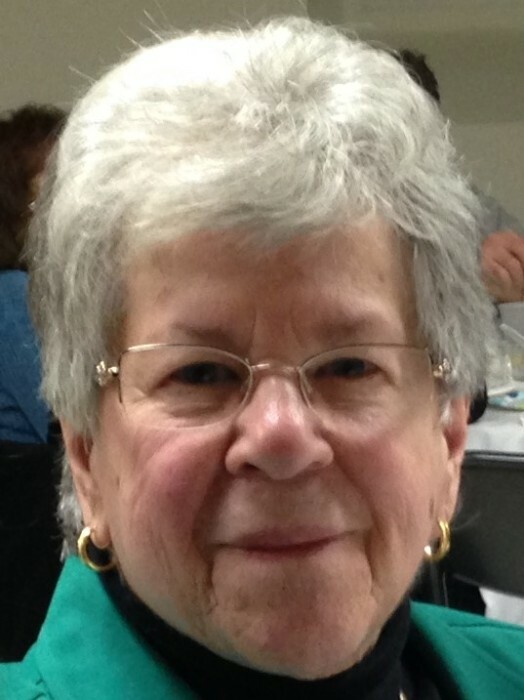 She devoted years to St. Maron's Church Bingo and Fundraising Events. She was also a member of the North End Community Association. She cherished her Sunday afternoon dinner and card games with her family. Throughout the years she was an avid bowler at Sky Top Lanes and the Elks Club. She had a love of all sports, especially the New York Yankees and UCONN basketball. In her later years, she was a self-taught artist and was named artist of the month, at the Torrington Senior Center. She had much love for all of her friends. She was out three times a week playing cards, Mah Jongg and also enjoyed taking an occasional trip to the casino. She is survived by her two daughters, Patty Zabbara and her husband Nick, Donna Motuzick and her husband Marc and her son Philip Theeb Jr. all of Torrington. Her brother, Mike Bartolotta and wife Roberta of Stratford, her Sisters, Virginia Beeman of Jacksonville, FL and Barbara Rabinko of Mesa, AZ. She is survived by her 7 grandchildren, Stephanie Sulek, Mareesa (Zabbara) Fabiaschi and husband Matthew, Talia Zabbara, Marc Motuzick II, Maria Motuzick, Tiffany Poirier, and Dylan Theeb; in addition to several nieces and nephews. She is predeceased by her sister Josephine Finello and brother Salvatore Bartolotta. The family will receive friends on Friday morning, April 6 at Cook Funeral Home, 82 Litchfield St., Torrington, CT 06790 from 9:00am - 10:30am. The Divine Liturgy of Resurrection will follow at 11:00am at St. Maron's Church, 613 Main Street, Torrington, CT 06790. Special thank you to The New England Homecare Visiting Nurses, who were very caring and helped her gain her independence, after her surgeries. In lieu of flowers, donations may be made to St. Maron's Church, Heating/Cooling Fund, c/o Michael Soliani, 613 Main St., Torrington, CT 06790. For information or to leave an on-line message of condolence, please visit www.cookfuneralhomect.com.